Dogs always do what works best for them. Their behavior gets directed by its consequences: The law of the effect. Every consequence must be applied immediately. 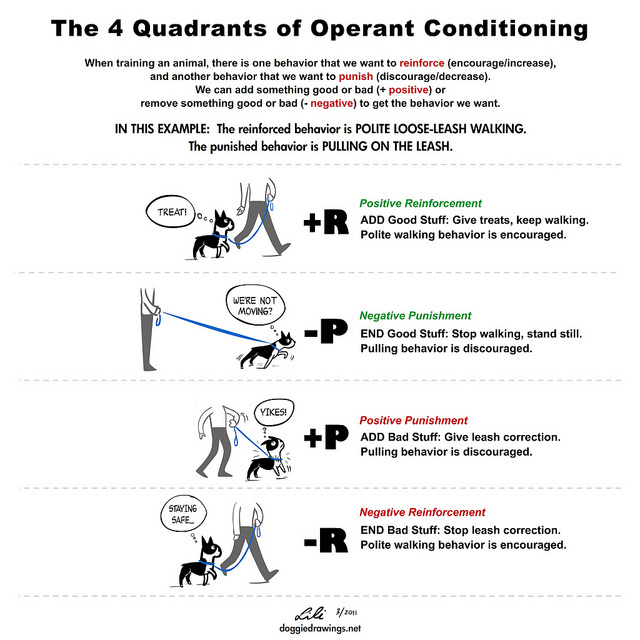 Dogs are experts in reading us and know what consequences will likely be applied when showing certain behavior in a given situation. Eventually the good and the bad consequences get connected with other things and have influence on the behavior. However, we prefer working with positive reinforcement and negative punishment. Previous What is Yellow Dog? Next Neurophysiology: How do dogs learn?